Many heroes walk the land in search of gold and glory. Just as many villains lurk in the shadows ceaselessly plotting their nefarious schemes. However, not all heroes (or villains) are equal. As I continue my design of Gloamhold and the surrounding Duchy of Ashlar, I’m thinking more and more about demographics and their effect both on the campaign world and the PCs. (A game world has got to have verisimilitude, after all!) 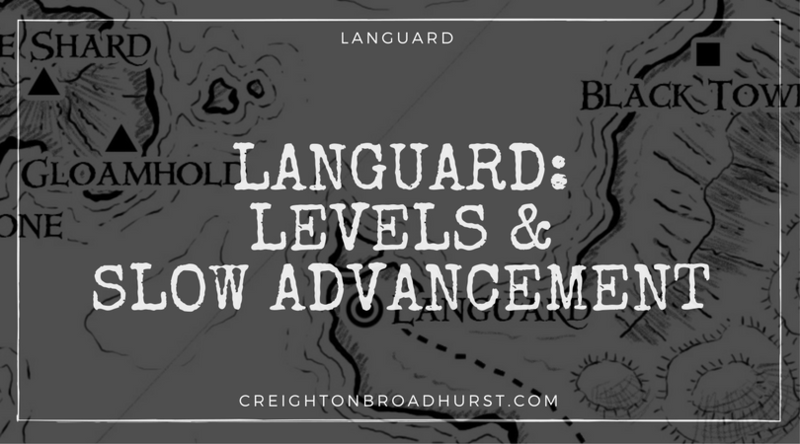 I recently posted about Languard’s demographics. Doing so made me realise I’ve never discussed the way I look at levels in my game. As a caveat for the rest of the article, remember I love the slow advancement track for Pathfinder. I used it in my Borderland of Adventure campaign (the precursor to the Shattered Star). I think it provides a much superior style of play. Using it, though, has an inevitable effect of the style of game and the campaign world. Namely, there are fewer higher level characters. PCs levelled about every ten sessions (so after about 40 hours of game play). While the PCs advanced slowly mechanically, they advanced much faster in regards to the story and their place in the world. When one of the PCs finally reached 7th-level and could actually qualify for a prestige class this was a special—dare I say prestigious—event; he was one of the elite few. Anyway, I digress. Without further ado, here is the way I segment the various character levels into four distinct bands. At these levels, the characters are essentially ordinary and capable of feats which normal people could achieve. The bullet points below detail ordinary, non-adventuring folk. Level 1: The vast majority of the population. Level 2: Most common folk never reach 2nd-level. Those that do are skilled at what they do. For example, a warrior is a veteran of long years on the frontier or a craftsman is known through the local area for his skill. Often, by this point a character is middle-aged—becoming skilled takes time, after all. Level 3: By this level, a character is likely approaching old-age, or—if younger—has packed an incredible amount of experiences into his life. He is incredibly skilled. Level 4: Particularly skilled or focused individuals could reach this level of excellence. Examples of these characters could include a master mason trusted with designing and building a cathedral, the best fencing instructor in the realm and so on. Such characters are the best at what they do throughout an entire kingdom (barring the presence of a prodigy). Level 5: At this level, a character is pushing the limits of what a normal person can achieve. She is a prodigy and the very best at what she does. A playwright, for example, writes plays that are universally loved and shared, a craftsman is capable of creating the very finest examples of her craft and so on. They are famed for their skill throughout the world. Such characters are extremely rare in the field and probably come along once in a generation. Adventurers, are obviously different to the ordinary populace. While the common folk might be more skilled in specific areas (in particular, the various professions and craft-related skills) adventures are cut from a different cloth. Heroes-in-waiting, a low-level adventurer has likely travelled further and seen more death and danger than most folk see in a lifetime. They are known in the locality in which they operate (even if this is just a village or small town). They are obviously different to common folk and the subjects of gossip and conjecture. Most are fabulously wealthy compared to common folk. Even at these low-levels ordinary folk think twice before crossing them. (And, in full disclosure, my thoughts on “normal” people are heavily influenced by this fascinating post on the Alexandrian). These characters are heroes. Children follow them in the streets and common folk swop news of their exploits. They are capable of feats normal people can only dream of emulating. They are well known in their locality, which could extend through a kingdom and its neighbours. In a small kingdom or city state, they may be the very toughest folk around. They may even have adventured on other planes of existence. For characters at this level, death might be only temporary. Toward the upper limit of this band, most adventurers are probably thinking about establishing a permanent base of operations—perhaps a castle, fortified home, wizard’s tower, church or the like. Now, the characters are superheroes. They are well-known throughout whole kingdoms (and perhaps continents). Bards sing of their adventures and most people have heard of them. Some people may not even believe they exist so incredible are their feats! Super villains are threats to entire kingdoms. Evil spellcasters might raise and control whole armies of undead, while warriors and the like could rise to rule their own expansionist kingdom. At these levels, the characters are legendary. They stand one step removed from the gods themselves. Their deeds live in song for hundreds of years. They can successfully battle the fiercest otherworldly creatures (or even ancient dragons) and win. Their mere presence on a battlefield can decide the fate of whole nations. Legendary villains plot truly diabolical, world-spanning schemes. They might plot the conquest of an empire, the death of a noble gold dragon or their own ascent to godhood. Segmenting character levels into bands gives me a better understanding of the campaign world and the PCs’ position in it. I think we sometimes forget how special the PCs actually are. Imagine how normal folk react when they encounter the heroes. Will they be merely mildly impressed at the PCs’ name and deeds or will they be honoured (or perhaps terrified) to be in the presence of legendary heroes? It also helps me design suitably themed adventures for the PCs. For example, 3rd-level PCs are beginning to make a name for themselves; already they are tougher and richer than almost anyone else they’ll meet. However, they are probably still delving into goblin lairs and suchlike. The fate kingdoms likely does not rest in their hands. By 9th-level, however, they wield unimaginable powers and are part of a small group of elite heroes. They go on adventures completely different to their earlier escapades and their deeds could have much wider effects and repercussions. Similarly, a 9th-level villains doesn’t just spring into existence. She has likely adventured for years and will have built a reputation. Canny PCs learning the name of their adversary may be able to gain an advantage over their foe. And that’s cool, but it adds another huge great blob of verisimilitude to the campaign! Languard is the capital city of Ashlar and closest settlement of note to Gloamhold’sbenighted halls. 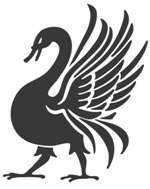 This is a first look at the location, which will appear in its final form in Town Backdrop: Languard which will be published by Raging Swan Press in early 2018. Do you do something similar in your campaign? Is this a waste of time? Let me know, in the comments below. My system of choice is an OSR clone, and the power levels are significantly lower than what Pathfinder assumes. But I do something similar. Up to level 4, the characters are up-and-comers, not yet noticed by the powers that be. But levels 4-7ish are the times when people notice them. They are ‘experts’ in their field: The cleric will come to the notice of the regional bishop, while the fighter will become known to the local ruler. Above level 7 is where the characters begin to enter legendary status. That dragon will get taken care of, the giants will be put down. Leading armies and ruling kingdoms. Level 9 used to be “name level” where a character came into his own (a thief could become a guildmaster, a cleric establish his own church, etc.). This is still the place where that happens, but the pieces have to fall into place. The King sends them on missions, or they strike out themselves into the wild. I think the slow-advancement option is the best for growing a campaign. It allows the players time to go from place to place, seeing and experiencing the world without the ultra-powerful trappings of high level. It seems to me it allows their actions play a larger part in establishing their characters’ place in the world. I love the low-level play of Pathfinder. While you can set the game how you like, I always run at ‘slow’ experience, because I want the characters deeds and words to mean more than the sword swings or magic missiles. There is a lot to love about the game where whole weeks will pass and characters can work on that armor they found some alloy for, or a magician found some spell he wants to weave in his robe. I also sprinkle little bits of Kingmaker Kingdom Building in every game. Giving the players some bits and pieces to cobble together to form a home, and later, a legacy, seems to work really well on the slow tracks. May your games be amazing. Having said all that, I did end up with players with Heroic and legendary status. But what was telling was the way we all without much discussion retired them from adventuring life. In various ways they forsook seeking adventure for a different path. Not that this stopped an occasional game requiring an epic theme, and here it proved really interesting as the lvl 10-20 PCs hired/coerced lower lvl PCs into a quest. Almost if you like taking on the role reserved for NPCs. It also needed two GMs to cope with maintaining the story as different groups went different ways, but that probably had more to do with the mega size of the playing group. Since I read this the first time, I’ve ran about eighteen games, or had 200 hours at the table. The game is still going, the average character level is 7th, bordering on 8th. The players have been through much together, and they’ve had two birthdays since I started at event zero. One thing I noticed helps players, is to occasionally run a second game in the same world, as a mini-campaign. Just something they heard of from time to time, or some issue at stake. This can be either a four session break, or a wholly new campaign leg, but it gives the players a sense of scope of how big your campaign world is. You can set historical events during this time, letting them experience an invasion, or a political change, or a riot that lasts for a couple of days. During this campaign, make sure to sprinkle the world with bards, and stories, about the main characters, that made it to this locale. Let them hear some devilry associated with their name, maybe a guild they injured is trying to libel them, or a family is getting back at them for stealing their youngest daughter in marriage, or making her a hero in an enemy state. Let the players hear about their exploits, so they can feel they are having an actual impact on the world. It’s not just about the kolbold killing and the +3 magic sword. I like the idea of adding short adventures with different characters into the mix. It’s a nice change of pace and I love the idea of them hearing about their main characters’ adventures! Thanks for posting it up, Bruce!